Converting 1 Million Baptisms Into Votes: An analysis of the political theology of the SDA Church in Zambia | Elias Munshya, LL.M, MBA, M.DIV. We all must congratulate the Seventh-Day Adventist Church of Zambia for its one-millionth baptism. Since its establishment in Zambia, the church baptized its one-millionth member in April 2015. While this feat has not been easy, it has demonstrated the resiliency and faithfulness of one of Zambia’s most widespread churches. The celebrations themselves were politically marred by a miscalculation of who should have greeted whom, and who avoided greeting whom. But beyond that, the Seventh-Day Adventist Church must be celebrated and commended. Members of the SDA can be found in business, politics, government, science, health care and other aspects of our national life. In spite of a very socially and politically active membership, what is really surprising with the SDA church ecclesial leadership is just how it has managed to stay apolitical and politically ambivalent in a nation that has increasingly blurred the church-state divide. Why is it that in spite of its political clout, the ecclesial leadership of the SDA has stayed above the political fray? The role that the Christian churches have played in the life of Zambian nation has only come to considerable academic attention very recently. Perhaps due to Marxist philosophies of the first and second republics, Zambian academics did not pay much attention to the role that religion in general, and Christianity in particular, had played in the life of the nation. Unlike its neighbours, it is curious to note that Zambia’s first public universities completely ignored faculties of theology and religion. After the fall of Kaunda, however, the critical role that the church has played in the political processes of Zambia is now being taken seriously academically. The academic study of church-state relations in Zambia has very frequently been evaluated mostly from the perspectives of the Roman Catholic Church (through the Zambia Episcopal Conference), the evangelical churches (through the Evangelical Fellowship of Zambia) and the other mainline denominations that are members of the Council of Churches in Zambia (CCZ). Specifically, when church-state relations are discussed in Zambia, they are often discussed in the context of how the political establishment has related to the Catholics, the evangelicals and the CCZ. At least three religious organisations have been ignored: the Jehovah’s Witnesses, the SDA, and the New Apostolic Church of Zambia. 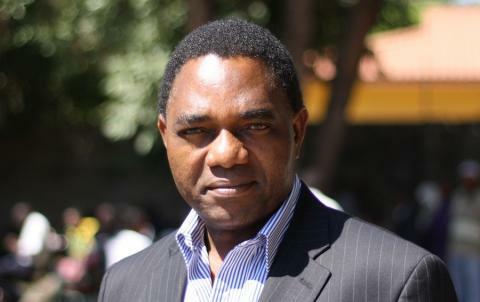 According to Dr. Isaac Phiri (1996; 1998; 2001), the church in Zambia becomes more politically active to fill an occasional void left by a weak civil society. What drives the Zambian churches’ tone in their dealings with the state according to Dr. Phiri has got to do with whether there are other voices that are speaking for the population or not. 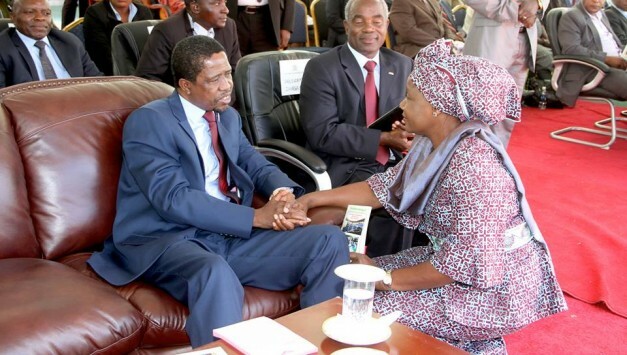 If there is a vibrant civil society, the Zambian church does not routinely participate or interfere in politics. Dr. Phiri’s thesis could be true if applied to the political participation of the so-called mother bodies: the EFZ, the ZEC, and the CCZ. Dr. Phiri’s dissertation did not explore the reasons behind the apolitical stance taken by either the Seventh-Day Adventist Church or the New Apostolic Church. The SDA church does not concern itself with political matters even when there is a weak civil society, like other churches routinely do. We must investigate why this is so. To be very clear, the SDA has been involved, very heavily, in providing solutions to the social-humanitarian issues affecting Zambians. They have erected schools, built hospitals, directed HIV/AIDS interventions and initiated several other initiatives. A few years ago, the SDA even established a university, now called Rusangu University. This goes to show that the SDA is quite aware and very involved in the social-humanitarian issues affecting Zambia. But what is lacking in the social-humanitarian stance of the SDA is the church’s complete apathy towards the political question. Why don’t SDA leaders use their numbers or political clout? Roman Catholics have undoubtedly openly used their political clout to influence politics in Zambia. The ZEC issues pastoral letters frequently. From the Kaunda days to the present, there is no doubting the political weight and influence of the Church of Rome. The noisy Pentecostals have made their clout felt as well. With the new phenomenon of the Major Prophets, Pentecostal preachers have acquired new levels of political outspokenness keen on changing the political landscape of Zambia through national and trans-national political “prophecies”. The same can be said of members of the CCZ. Member denominations of the CCZ have very frequently made their minds known about politics. What you will never hear is the political opinions from the SDA church leaders, why is it so? Some answers to this question could be found from the central teachings of the SDA church. While the SDA’s 28 Statements of the SDA’s Fundamental Beliefs call for a church that is acutely aware of its evangelical, missionary and social-humanitarian mandates, there is no clear direction of how the church should respond politically within the 28 Statements. However, the official church document on church-state relations appears to address this political question quite adequately. It states the following: Adventists “must remain ever mindful of the dangers that are associated with religious influence on civil affairs and assiduously avoid such dangers. When Adventists become leaders or exert influence in their wider society, this should be done in a manner consistent with the golden rule.” The official document continues to state that the Adventists “should not, however, become preoccupied with politics, or utilize the pulpit or our publications to advance political theories”. It appears that the SDA church leaders in Zambia have followed the official church document on church-state relations to the letter. Their absence from the political fray has definitely been deafening. In spite of the temptation for the church to stray into the political arena, the leaders have exercised a lot of restraint. The official document does seem to suggest that the SDA church could speak out only if religious liberty is at stake. With one million members on its books, the SDA church has demonstrated that a church can exist and have tremendous political clout without having to fray into the political arena. There is more to church life than political involvement. If the Catholic Church and evangelicals have shown a more politically involved consciousness, it is fascinating to note the SDA model that has remained apolitical. Zambia is bigger and greater because of the religious diversity in the nation. In that sense, the SDA should be more than welcome to the table of our national conversations even if they will have nothing to say when the political dialogues get boiling. Interesting article. The neglect of theology and classics at the inauguration of UNZA is indeed lamentable. Efforts were made in the 70s by UCZ to jointly run a faculty of theology at UNZA but this did not materialize. I think one also needs to distinguish between Roman Catholic engagement with Politics and that of CCZ member churches later on EFZ. The Constantinian lessons remain instructive in the catholic approach to church-state relations thus there clear disdain for the declaration of Zambia as a christian nation. The article seems to suggest that RC and CCZ have identical approaches to politic; this is hardly so. I still contend that the definition of Political needs further conceptual clarification especially when one adopts such language in theological discourse. Some may even argue that the church is by its very nature a polis and a moral community with ethical implications that affect every aspect of social life. On this basis, the church’s participation in the affairs of the world (read: politics) is best understood as part of the church’s prophetic role (within mainline Protestant Churches) and as part of evangelization (within Roman Catholic circles). On this account, I’m not to sure that weak civil society leads to active church participation in societal matters. Refreshing article I must say. Well written. I think the problem with SDAs being involved in politics actively has been due to their interpretation and respect of the seventh day guidelines. If one was, e.g. President, would they be expected to stay off work from Friday evening to Saturday evening? Supposing a national emergency which required presidential executive intervention arose during the seventh day period what would the president do? I’m sure there are some provisions and exceptions to the seventh day rules but it appears the picture given is that nothing can and should be done on the seventh day. It would help if someone from the SDA motherbody was to give a public statement to help the general citizens, particularly non SDAs understand the interpretation of the seventh day rule.